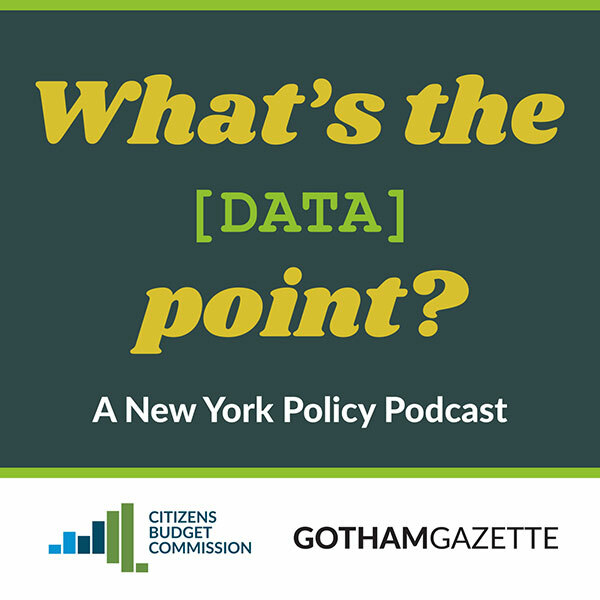 Cesar Perales, chair of Mayor Bill de Blasio's 2018 Charter Revision Commission, joined the podcast to discuss the commission's work and the three ballot proposals it put forth that go before voters on Election Day: Tuesday, November 6, which deal with campaign finance reform, creating a civic engagement commission, and term limits for community board members, among other details. With less than two months left to complete its work, Mayor Bill de Blasio’s charter revision commission released a preliminary report on Tuesday outlining five broad issue areas -- campaign finance, municipal elections, civic engagement, community boards, and redistricting -- that it will continue to explore in public hearings and community events over the next two weeks. The report was prepared by the commission staff after two initial rounds of hearings held in the last three months across the city at which members of the public, advocacy groups, subject matter experts, and elected officials recommended improvements to the City Charter. “New Yorkers have been engaged since the start of this process and this report reflects the wide range of issues we discussed in all five boroughs,” said Cesar Perales, commission chair, in a statement. Though the commission was empowered to examine the entire charter, it closely followed the mayor’s brief in empaneling it: that it look at improving electoral participation and reducing the effects of money in city elections. At a meeting on Tuesday at Pratt University, the commission members discussed their positions and concerns on the staff report. An outline of the commission report was provided to Gotham Gazette and other news outlets Monday evening. To reform the campaign finance system, the staff recommends in its report that the commission should consider ballot proposals to lower donor campaign contribution limits and enhance the Campaign Finance Board’s voluntary public matching funds program, which currently matches small-dollar contributions at a 6-to-1 ratio and is seen as a national model. The CFB caps the amount of matching funds a participating candidate can receive at 55 percent of the spending limit for the position they are seeking. The report recommends a proposal to increase that cap. Those suggestions are in line with the ones made by the CFB to the commission. Carlo Scissura, secretary of the commission, urged caution about the level of increase in matching funds, noting that more and more candidates run for office each election cycle. "Let’s be careful of the city budget," he said. Commissioner John Siegal worried that lowering contribution limits could affect people's First Amendment rights and could only be justified with a "compelling anti-corruption rationale", while Commissioner Sharon Greenberger said the commission should carefully consider the timing of rolling out changes to the campaign finance system. The staff report is less definitive on improving municipal elections through voting reforms, urging the commission to continue reviewing proposals such as instant runoff voting, also known as ranked choice voting, and improved language assistance services. Perales said there was no unanimity among his colleagues on instant runoffs. Some found it "intriguing" while others like Commissioner Larian Angelo wanted more data on its benefits and drawbacks. Perales also noted that the commission can do little to change election law, which falls under state jurisdiction. "This is going to be a tough one," he conceded. Voter participation could also be improved through civic engagement, the report states. The commission has been assessing a proposal, put forward by Brooklyn City Council Member Brad Lander, to create a new Citywide Office of Civic Engagement. At hearings, commission members have spoken of the idea approvingly, and the staff report suggests that they evaluate how that office would function, how it would be structured and whether it can bolster the city’s DemocracyNYC and participatory budgeting programs. On Tuesday, though, Perales said it was another area where the commission lacked consensus. Scissura, for instance, said he was "a fan of less bureaucracy," and did not support the creation of a new office. Participatory budgeting was a more popular subject, with a few commissioners agreeing to explore ways to expand it across the city. On community boards, the staff recommends term limits that can diversify board composition, a standardized appointment process, increased resources, and ensuring representative membership. 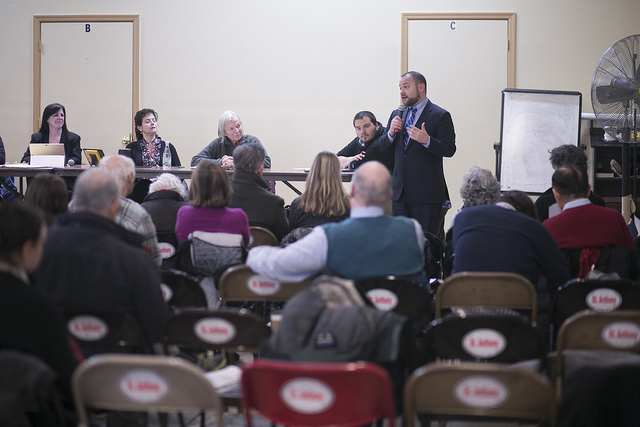 Commissioner Marco Carrion, who is also Commissioner of the Mayor’s Community Affairs Unit, said Tuesday that the commission report was a "very good starting point" on how to democratize community boards. The most complex and perhaps most politically charged question before the commission was whether they could make improvements to the process of redistricting City Council boundaries. There are currently 51 Council districts across the five boroughs, the lines of which will be impacted by the next U.S. Census, set for 2020. But, the charter commission may recommend to voters a change to the redistricting process, which could even include changing the number of Council districts. The charter commission report does not take a hard position on redistricting other than recommending that the commission keep studying it, keeping in mind “procedures to address the effects of the redistricting process on the voting power of racial and ethnic minority groups,” including perhaps independent review mechanisms. The report also underscores the importance of limiting the role of elected officials in districting commissions and putting in place plans to mitigate the effects of a potential undercount in the 2020 census from the addition of a citizenship question by the Trump administration, a plan that is currently the subject of litigation. On Tuesday, it was clear that the commissioners were not in full agreement. Commissioner Dale Ho, director of the ACLU's Voting Rights Project, stressed that redistricting needs to be "more inclusive" to reflect the city's diversity, and Perales said the commissioners "need to see alternatives" to the current process to make an informed decision. 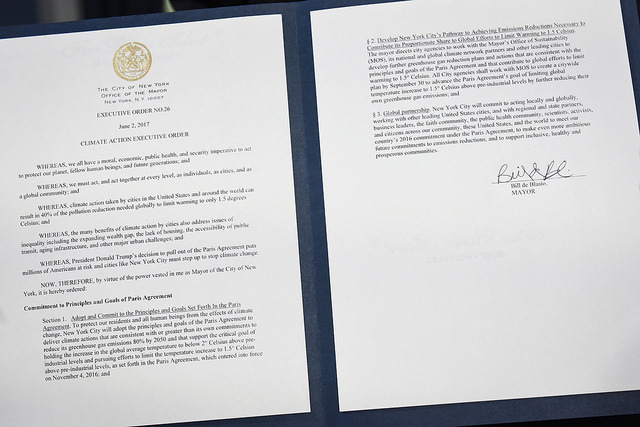 “This preliminary staff report reflects a focus on civic life and democracy in New York City — a theme that is particularly appropriate and relevant in contemporary times,” said Matt Gewolb, executive director of the commission, in a statement. The commission’s final report is expected by the end of August and its proposals, which will be presented as ballot referenda in the November general election, are due by September 7 at the latest. The mayor’s commission is also distinct from another one created through legislation by the New York City Council, which held its first meeting on Monday evening at City Hall and aims to put its proposals on the November 2019 ballot. Note - This article has been updated with coverage of the commission's meeting on Tuesday, July 17. Mayor Bill de Blasio’s charter revision commission, convened to examine the city’s central governing laws, concluded the second leg of its public input process last week with a series of forums where they sought expert opinions on campaign finance reform, electoral access, civic engagement, redistricting of City Council boundaries, land use decision-making, and community boards. 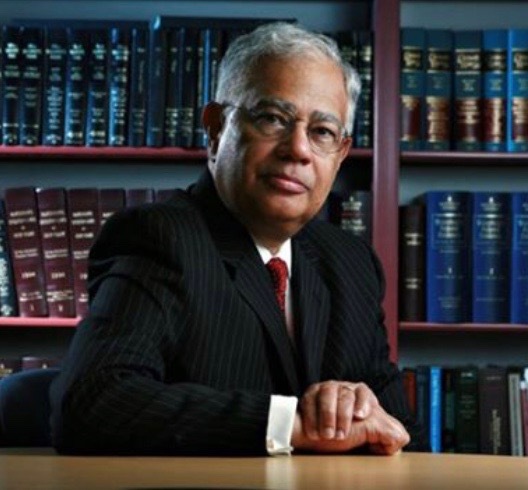 As the commission continues to narrow its tentative list of proposals to present to voters on the ballot in November, Commission Chair Cesar Perales, a former secretary of state of New York, said in a phone interview that commission members are not looking to “invent the wheel” but rather are focused on improving the functions and structure of city government where they can. The mayor formed the commission with specific ideas in mind, that it explore ways to minimize the impact of money in elections and increase electoral participation in a city increasingly known for low voter turnout. “[O]ne of the things we’re going to do in this city is we’re going to present to the people in November a ballot initiative for public financing of elections to take our already very progressively public finance system for elections and build upon it even more deeply to get big money out of politics,” de Blasio said in his weekly appearance on WNYC’s The Brian Lehrer Show on Friday. Though de Blasio made his priorities understood before naming the 15 members of the panel, any charter commission created by mayoral fiat has unlimited reign over its agenda and can consider all issues pertaining to what is essentially the city’s constitution. After a first round of open-ended public hearings, the commission homed in on four major areas on which subject-matter experts provided testimony: election administration, voter participation, and voting access; campaign finance; community boards and land use; civic engagement and independent redistricting. “I just had a series of conversations with individual commission members and I think there’s a universal sense that we’ve identified the right issues,” Perales said in the interview on Wednesday. The mayor’s announcement about the commission initially raised eyebrows, with City Council members and government reform groups questioning the rationale behind it. Changes to the campaign finance system are usually made legislatively through the City Council and are largely based on recommendations from the independent and nonpartisan New York City Campaign Finance Board, which issues a detailed report after each four-year election cycle. At the same time, the commission’s creation has led some City Council members to hold off on legislation lest it become a part of the agenda. For instance, Council Member Brad Lander’s proposal to create an Office of Civic Engagement -- for which he introduced a bill in the Council -- has been front and center in the commission’s discussions and Lander has said that he will avoid pushing it forward if it is taken up by the commission. Lander testified at length at the commission’s expert hearing on civic engagement. The commission is expected to again foray into the five boroughs to solicit opinions on the more narrower list of issues. Internally, Perales said, there is no final consensus on any one issue, nor is there major disagreement and no ideas have been rejected outright. The commission staff is currently preparing a preliminary report with the pros and cons of a number of proposals, he said, which will then be aired to the public. Perales himself is “piqued” by Lander’s OCE proposal while participatory budgeting received “universal praise” from members, he said, referring to the City Council’s current program carried out in select districts and suggestions that it be expanded citywide. He was also impressed with Comptroller Scott Stringer’s testimony before the commission on community boards, wherein Stringer recommended that each community board hire a professional urban planner and train members in issues related to land use. There has been debate, of course. One idea that has overwhelming support among good government groups and also prominent elected officials is instant runoff voting, also known as ranked-choice voting, which helps avoid costly and laborious run-off elections with low turnout. Most believe it is a no-brainer. Perales disagrees. It is widely expected that the commission will recommend lowering the maximum contribution amount allowed by an individual to a candidate. There are also expectations that the commission will propose an increase in public matching funds that candidates can earn. Eleven of the commission’s 15 members sat at the hearing, which was divided into two parts, one focused generally on voting rights and election administration in the city, and a second centered on the ranked-choice voting system, otherwise known as instant runoff primaries, that may be proposed to voters later this year, among other measures deemed appropriate by the commission. 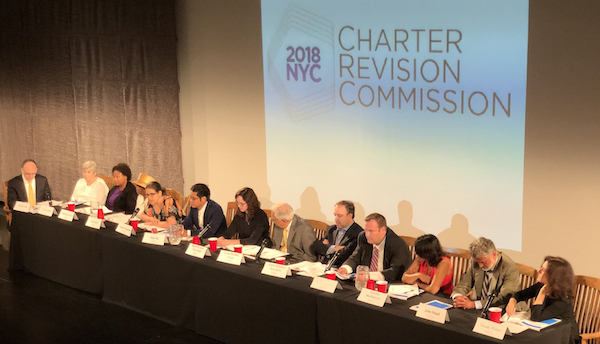 The charter revision commission was established by de Blasio in April and is charged with collecting public input on recommendations to amend or revise the Charter of the City of New York, a slate of proposals that will be made official in September and placed on the ballot in November. 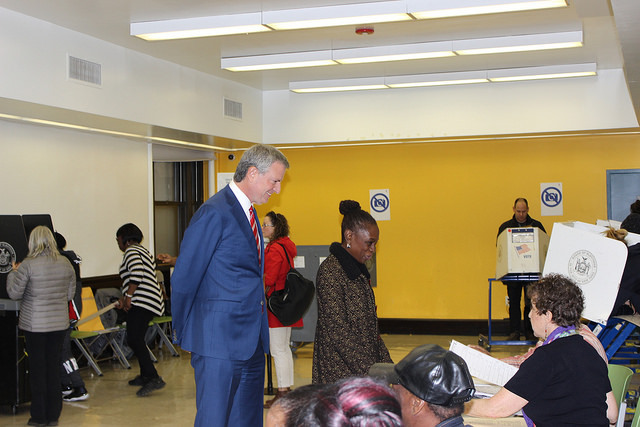 Though any charter revision commission is able to look at any aspect of city governance it chooses, de Blasio said he was forming this commission to look at voting, elections, and campaign finance reform. After an open hearing in each borough where members of the public were invited to testify, the commission announced its focus areas, which led it to four additional public meetings to hear from invited experts. Panelists for the first portion of Tuesday’s hearing — Catherine Gray, co-president of the League of Women Voters of the City of New York; Perry Grossman, of the New York Civil Liberties Union’s Voting Rights Project; Susan Lerner, Executive Director of Common Cause New York; Jerry Vattamala, of the Asian American Legal Defense and Education Fund; and Andrew Wilkes, Director of Policy and Advocacy at Generation Citizen — spoke at length about specific challenges facing New York City voters and what they identified as problems with the city’s electoral system. Grossman opened testimony recounting the “archaic voting practices” restricting voting in the city. New York State (and thus the city), he said, does not allow early voting, automatic registration, same-day registration, or online voting registration, and has restrictive access to absentee ballots. Adopting these measures, as several states and other municipalities have already done, would go far to increase voter turnout here, Grossman said, pointing out that New York State ranked 47th nationally in voter registration and 44th nationally in turnout for the 2016 Presidential Election. His suggestions to the commission, including instating early voting and strengthening the ability of city agencies to electronically transmit voter registration records to the Board of Elections were echoed by several other panelists. But they ran up against a question inherent to the commission’s role as a city body attempting structural change with statewide and national implications: How far can it go? Commission Chair Cesar Perales, Governor Andrew Cuomo’s former Secretary of State, told Grossman that it’s “not clear what the city can do on its own without violating state law,” specifically with regard to expanding access to absentee ballots, which is legislated by the state. All of the reforms Grossman called for have been the topic of debate in Albany, where they have failed to pass the Republican-controlled State Senate. Commissioner Wendy Weiser, Director of the Democracy Program of NYU’s Brennan Center for Justice, echoed Perales’ concerns, asking Grossman if New York City’s home rule gives it greater freedom in running its own elections to the extent that it could offer expanded voting rights for municipal elections while retaining restrictive measures for state and federal elections. Grossman answered affirmatively, and several others who testified, advocating for measures ranging from lowering the voting age to 16 to enfranchising non-citizens to adopting voter pre-registration, proposed similar systems of tiered franchise, by which the city could give new classes of New Yorkers the ability to vote in local elections, but not anywhere else. Several panelists also pointed out that the city’s lackluster language services restrict voting in what is, by some measures, the world’s most lingually-diverse place. Vattamala, of the Asian American Legal Defense and Education Fund, focused his testimony on this hindrance, recounting the Board of Elections’ repeated failures to provide City Council-mandated translation services. The BOE is a state entity that the city funds and thus has some oversight of. In 1990, Vattamala explained in providing examples, after the City Council ordered the provision of Chinese-language voting services, the Board of Elections sent Mandarin translators to the mainly Cantonese-speaking Chinatown in Manhattan and Cantonese translators to the mainly Mandarin-speaking Chinatown in Queens. In 2000, the Board of Elections mistranslated Chinese ballots in the primary election, writing “Democrat” where the English said “Republican” and vice-versa, and, in 2013, the Board simply failed to provide the Bengali-language ballots necessary in Queens. Horror stories of the Board of Elections were widely-recounted at the hearing. Common Cause’s Lerner spoke of the BOE preventing translators from entering polling stations during the November 2016 election, and failing to implement several initiatives of the City Council and the previous charter revision commission. Several commissioners seemed keenly aware of the difficulties of enacting whatever they may propose for a new charter. Commissioner Rachel Godsil responded to Lerner’s specific suggestions to the commission — that the charter should amplify a constitutional right to vote, clarify conflicts of interest law, and consolidate and enhance already-existing city agencies, among other proposals — with a question about the feasibility of effecting change. Panelists offered several ideas for accountability mechanisms for the commission’s recommendations, but the question of enforcement remained. Throughout the three-hour hearing, the commissioners’ faces betrayed little. A few times throughout, a commissioner seemed particularly interested in a suggestion: Commissioner Dale Ho nodded when Andrew Wilkes suggested lowering the municipal voting age to 16; Wendy Weiser nodded at the proposal that the city’s charter offer an express right to vote in local elections. While the problems and solutions brought up at the first half of the hearing ranged widely in scope and subject, the second half was tightly focused on ranked-choice voting, a reform that has widespread support and appears likely to be included in the commission’s recommendations. Ranked-choice voting is a system used in 16 American cities and in limited capacity in several states, including Maine and Virginia. It allows voters to specify a first-choice candidate, second-choice candidate, third-choice, and so on, until the legal maximum. If no candidate wins a majority -- or whatever the set threshold -- in the first round of voting, the least-supported candidate (or, in some jurisdictions, all but the top two) is disqualified, and that candidate’s voters have their votes added to the totals of their second choices. Low-performing candidates are winnowed off until a single candidate has amassed enough votes to claim victory. Panelists explained what they saw as the benefits: incentives for candidates to appeal to voters beyond their base; cost-saving; and retained participation relative to an expensive and poorly-attended runoff election, which is the current next-step if a candidate does not win in the first round of voting; and, based off the results in American jurisdictions that have implemented ranked-choice, seemingly increased election of candidates of color. The commissioners seemed generally supportive, or, at least, interested in the system. Commissioner John Siegal told Ritchie that he has “an open mind about this proposal,” and questions to those testifying mainly concerned the commissioners’ own understanding and feasibility concerns, like cost and machine malfunctions. When the final expert, Hofstra University Professor Craig Burnett, spoke about the system’s flaws, which include “ballot exhaustion,” the prospect that all of an individual’s ranked choices will be eliminated in early rounds of vote-counting, and racial and ethnic minorities being less likely to complete a full ballot and therefore facing a higher risk of exhaustion, he faced a less-friendly commission. Chair Perales interrupted Burnett during his five minutes of testimony, which he had not done to any other panelist, and asked Ritchie to “retort” immediately following Burnett’s speech. The final round of questioning was more free-wheeling than previous rounds, which had been directed at a single panelist. In closing the hearing, the commission asked the assembled experts about the risks of strategic voting, dynamics of incumbent power, minority community representation, and effects on campaign finance. Then, citing “commission exhaustion,” Perales asked for a motion to adjourn. The commission will hold a second of its four expert hearings on Thursday, with a focus on campaign finance. Note: this article has been updated to clarify remarks made to the commission by Perry Grossman. 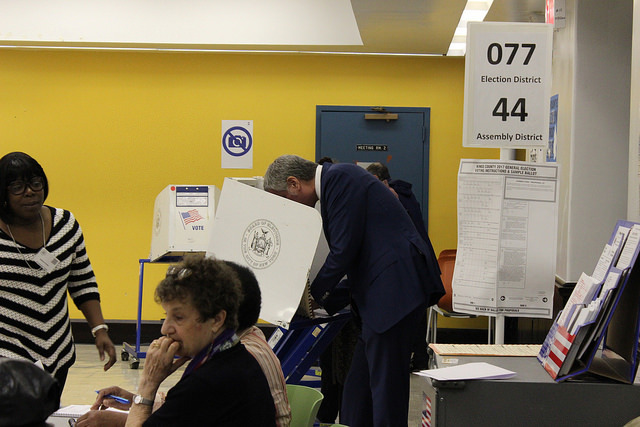 Mayor Bill de Blasio’s charter revision commission announced its initial areas of focus on Thursday, hewing closely to the mayor’s mandate that the members look at campaign finance and electoral reforms as they review the city’s governing document. The commission homed in on its preliminary agenda after public hearings across the city in the last two months where the commissioners heard from elected officials, various advocacy groups, and members of the public in each borough. They also sought insight from city officials and heads of agencies. In a resolution passed at Thursday’s meeting, the commission decided to delve deeper into a few broad areas: voter participation and measures to improve elections, including instant runoff voting; reforms to the city’s campaign finance system; fair representation in city government, particularly through independent redistricting of City Council districts; and strengthening civic engagement, including through exploring the role of community boards. Over the next month, the commission plans to convene three hearings with subject matter experts to testify and participate in panel discussions on the preliminary agenda, even as it continues to drill down on the hundreds of recommendations made in the last few weeks to find areas of broader public interest. Commission Chair Cesar Perales acknowledged early on in the Thursday meeting, held at the Pratt Institute in Manhattan, that the commission has a tight deadline for its work since its proposals are to go to the voters on the ballot in November, meaning they must be in to the Board of Elections in early September. He speculated that the commission may have to hold a fourth issue-focused hearing. “Maybe on further analysis, we might find that there’s another issue that we ought to be focusing on, because the comments keep coming,” he said. Matt Gewolb, executive director of the commission, echoed that sentiment. He said the initial agenda had been derived from more than 400 recommendations made by more than 100 people at the various hearings, on social media, through phone calls, and even snail mail to the commission’s office. But he noted that the agenda was not just limited to the issues approved on Thursday. “While these themes have emerged as most central, we continue to systematically review and consider each and every comment received by the commission,” he said. In particular, Gewolb said the commission is still analyzing testimony around land use issues, which he said has emerged as an area of interest both in public testimony and for particular commissioners. For instance, at some hearings, people have recommended that community boards should have a greater voice in the city’s land use review procedure and that their role in those decisions should be more than just advisory. “As neighborhoods are fighting back against gentrification, is this part of the impetus for wanting to review land use?,” wondered Commissioner Una Clarke, a former City Council Member from Brooklyn. Perales agreed that it was an important aspect of the conversation. “I take that as a recommendation that when we, and I think we should but we haven’t made that decision yet, when we make land use part of our expert analysis and discussion, that we include not just facilitating development or building but that we also look at the issue of gentrification,” he said. Land use also seemed to be a priority for Carlo Scissura, secretary of the commission, who is also president and CEO of the New York Building Congress. He emphasized that the commission should do “something separate on it,” possibly at one of the expert panels in June. Commissioners raised various other questions and issues. Scissura brought up nonpartisan elections, which Gewolb said needs more review. Commissioner Kyle Bragg, secretary-treasurer of labor union 32BJ SEIU, said the commission could also look at representation in community boards and, separately, the structure and functions of the Civilian Complaint Review Board, which examines complaints about police misconduct. The first subject matter hearing is set for June 14. Following those hearings, the commission will release a report of its preliminary recommendations and will again put those to the public with another round of hearings in all the boroughs. The commission’s final recommendations are due by September 7. A commission created by Mayor Bill de Blasio to review the City Charter and propose reforms to how city government functions kicked off its work on Thursday with its first public meeting in Downtown Manhattan. Huddled elbow-to-elbow at tables stretching across an auditorium stage, the members of the Charter Revision Commission -- former public servants, law professors and attorneys, union leaders and community activists -- introduced themselves to the 20-odd members of the public in attendance (and whoever might have been watching the live-stream). Over roughly an hour, Commission Chair Cesar Perales did most of the talking at what was billed as an initial organizing meeting, discussing the law, rationale, and guiding principles behind the creation of the commission. Any Charter Revision Commission is, under the law, an independent body and has the authority to examine the entire charter, though past commissions have been convened by mayors with limited interests in mind, a fact that Perales acknowledged Thursday. De Blasio too charged his commission -- though he cannot control their agenda -- with looking at the city’s campaign finance laws and ways to improve voter participation and access. “This mayor, much to my delight, is interested in improving democracy and improving the way we elect our leaders,” Perales said. The commission would focus on elections, he insisted, but would also “be looking at the entire City Charter” and the issues presented to them at hearings over the next few months. Perales also pledged a thoroughly transparent process -- before he spoke, he made sure to check that the hearing was indeed being live-streamed -- that would include ample testimony from the public. “We’re gonna hear from more people than anyone ever imagined,” he said. Among the first acts of the commission was the nomination and appointment of Matt Gewolb, former legislative director at the New York City Council, as its executive director and Christine Billy, a lawyer from the Department of Sanitation, as general counsel. Candice Cho, deputy chief of staff at the Law Department, will serve as the commission’s chief of staff. Much of the commission’s staff, which will work out of the David Dinkins Municipal Building, will be borrowed full-time from city agencies, Perales said, though the commission can request funding from the mayor and already has a budget that will allow it to hire consultants. “We’ll have all we need but we’re not gonna be spending a fortune on getting it,” he said. The commission will hold its first borough hearing on Staten Island, though the full schedule has yet to be decided. At Thursday’s meeting, the commissioners did agree on a few broad ground rules for public outreach: holding multiple hearings in each borough at different times of the day to ensure maximum participation; preventing any barriers to access for immigrants; a robust social media presence and a marketing campaign. “I wanted us to take a look at the demographics of the city because things are changing, and a sense of who is where is going to be important in decisions that we make for our deliberations,” added Commissioner Una Clarke, the former City Council Member from Brooklyn. In particular, Clarke warned of how the national political scene and the federal government’s policies could depress immigrant input. “I think we ought to be very sensitive to the new immigrant communities. Because of what’s happening in Washington, many people will not come out and speak with us, and we have to be able to bring them out because whatever we do is going to affect their lives,” she said. Fernandez suggested a “simple but creative marketing campaign” to invite the public into the process. As the commission does its work, examining the city charter and city government and taking pubic testimony, it will prepare recommendations that then go to voters for approval or disapproval. Thursday’s meeting marked the latest start for any Charter Revision Commission convened in the recent past, and Perales conceded that they will have to work hard and fast to meet the September 7 deadline to have their recommendations included on the general election ballot in November. “We’ve got some really serious time constraints,” he admitted, though he said he was “optimistic” about getting the work done. What wasn’t raised at the meeting was the parallel Charter Revision Commission being created by the City Council through legislation that passed last week. The Council’s commission will include appointees of all the city’s top elected officials and will work through this year into the next, to present ballot proposals for the 2019 general election. De Blasio, who appointed all the members of his commission, will have four appointees to the Council-led commission.